Trending Updates About Healthcare, Medical Devices, Pharmaceutical etc. 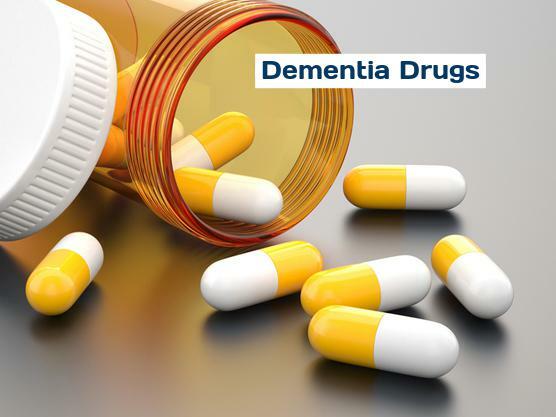 Major factors fueling growth of the dementia drugs market include the large number of drugs in the pipeline, which are expected to enter into the market by 2020-2022. According to the study published by Translational Research and Clinical Intervention, in September 2017, it is recorded that 105 new drugs in pipeline, out of which 25 are in phase one, 52 in phase two and 28 are in phase three. These new products use novel approaches such as immunotherapy to target amyloid beta, beta-site amyloid precursor protein cleaving enzyme 1 inhibitors, tau aggregation inhibitor, and serotonin 5-HT6 receptor antagonist. Furthermore, increasing collaborations amongst companies for developing drugs in joint efforts is also boosting growth of the market. For instance, in November 2017, Novartis and Amgen, along with the Banner Alzheimer's Institute, announced a collaboration to assess potential of the BACE1 inhibitor CNP520 to prevent or delay symptoms of Alzheimer's disease. On the basis of geography, the global dementia drugs market can be segmented into six major regions: North America, Europe, Asia Pacific, Latin America, Middle East, and Africa. North America is expected to hold the largest market, owing to major approval of drugs in this region and favorable reimbursement scenarios. Asia Pacific is expected to emerge as a major market in the near future, majorly due to the growing geriatric population and Alzheimer’s disease cases, especially in China, India. This in turn, is expected to create lucrative opportunities for growth of the market.